We received products in exchange for our honest review. No other compensation was provided. I've always loved curly hair! The way it looks on some people is just beautiful. I know if I really set my mind to getting really cute curls, then I needed to go through some products to find the right ones. Being stressed doesn't help at all since it just may cause hair-loss and even hair thinning. The solution we found for that issue was the SheaMoisture Jamaican Black Castor Oil Shampoo, Conditioner, Masque, and Leave-in Conditioner. 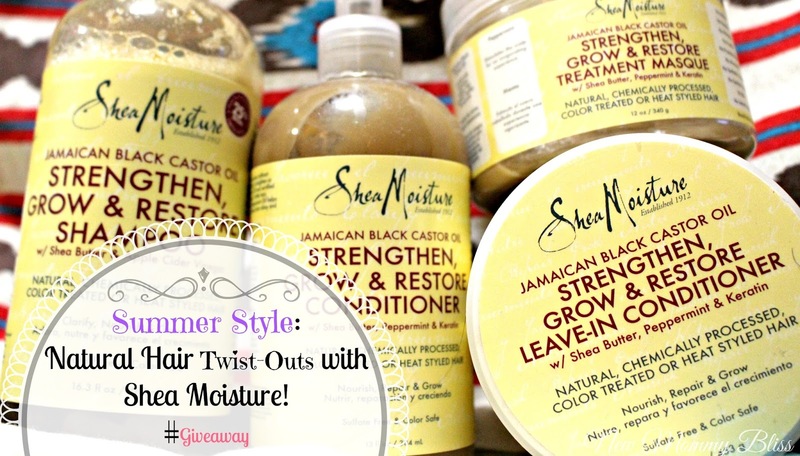 A heavy package arrived at our door one day and I was happy to see some products from the SheaMoisture Jamaican Black Castor Oil line as well as a little treat: Shea Moisture Curling Smoothie. I started to use the Jamaican Black castor Oil products for about a week and was able to start feeling a difference. 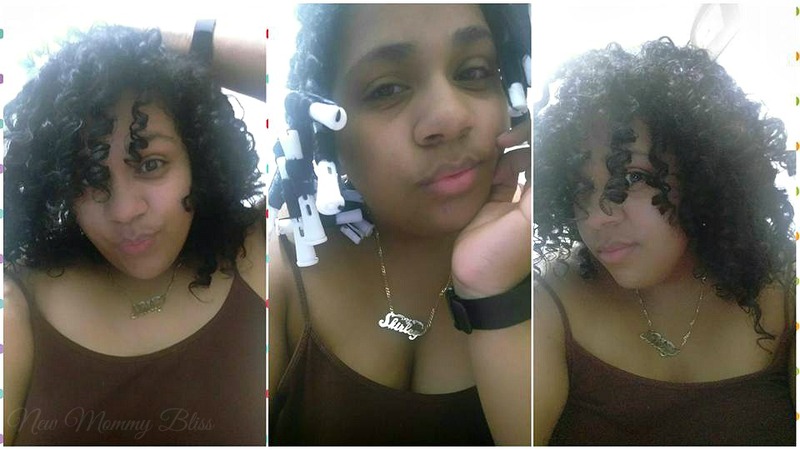 After the week, I decided to try a Natural Hair Twist Out style with some SheaMoisture Jamaican Black Castor Oil Leave-In Conditioner and the results were stunning! So SheaMoisture's Jamaican Black Castor Oils is said to Fortify and Renew Hair while supporting healthy growth for all hair types including Color treated, heat styled, natural, and transitioning. The line's Shampoo product does remove build-up, balances the pH level of the hair and scalp which in turn leaves your hair soft, shiny and almost frizz-free! My hair seriously has Legitimate curls and I used NO heat. Yes it does takes a few extra minutes of your nightly routine to set them up, but it's all worth it. Especially since your style will last more than a day or 2 if you wrap it right. The shampoo together with SheaMoisture's Jamaican Black Castor Oil Conditioner works perfectly in my hair to leave it noticeably moisturized. 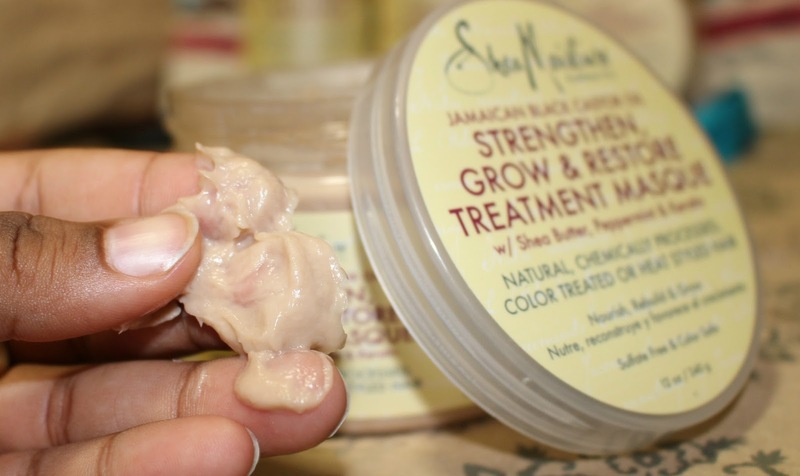 After using those 2 products, I started with the Jamaican Black Castor Oil Strengthen, Grow & Restore Treatment Masque. After shampooing and all, I applied a generous amount, combed it through my hair, and sat under my walked around with a cap for about 25 minutes. The jar’s instructions suggest 15 minuted under heat, but without I think 25-30 is fine. After rinsing, my hair was noticeably softer and smoother with no tangles. You can’t really go wrong with this awesome masque. And finally, The Jamaican Black Castor Oil Leave-In Conditioner. I am in love with the Leave-In conditioner. I use it alone every few days on mine and my daughter's hair. 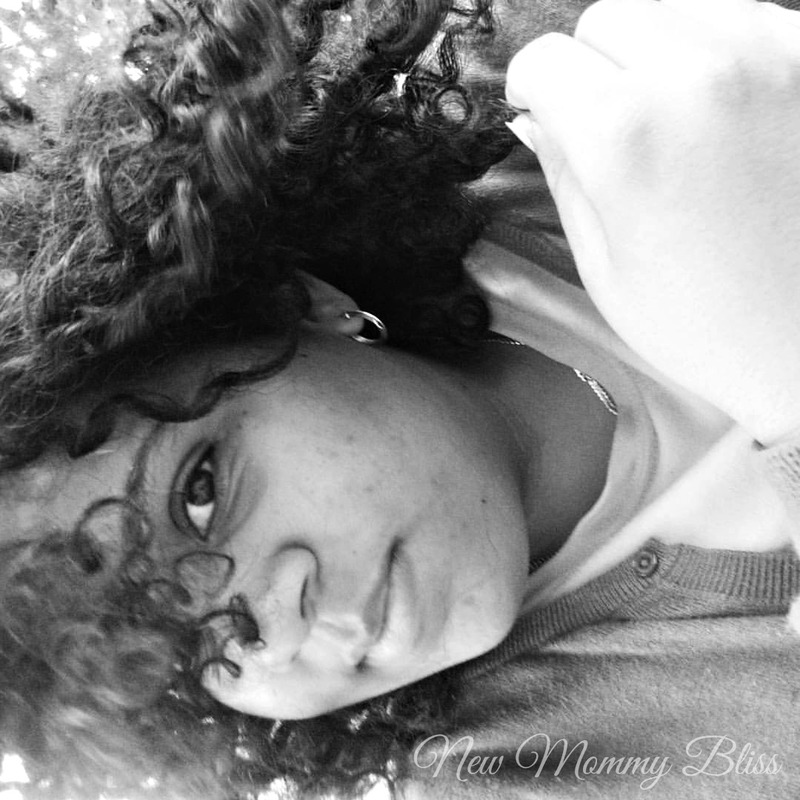 It's makes my curls easy to detangle as well as my daughter's thin and tight curls. A little goes a long way and it's creamy and light enough to evenly distribute. Trust me, I was shocked at how little we needed to get the style we wanted. I can see myself using this specific product for a very long time. 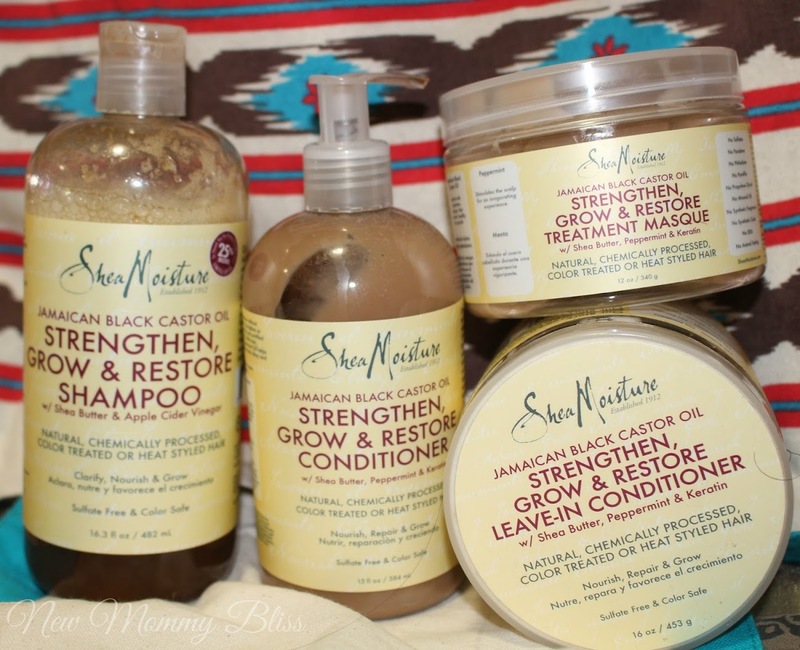 Overall, I am a super fan of this selection of SheaMoisture Jamaican Black Castor Oil Line. I may go on to purchase more products from the line to see if they work as well as these. Now for the Giveaway! One Lucky winner will receive the 4 mentioned products in this post to try out themselves! Enter Below. I love the Shea Moisture products and cant wait to try the Strengthen restore and grow shampoo & conditioner. I love all of Shea Moisture product. They leave my hair silky-smooth and looking very moisturize and healthy looking. Can wait to try Shea Moisture Jamaican Black Castor Oil Leave-in conditioner and Shea Moisture Jamaican Black Castor Oil Conditioning Masque. I want to try the leave-in conditioner! With the summer almost here, I would love to try the Leave-in conditioner! I love the whole product line! SM is a great brand! I love these products! The leave in conditioner is my fave! I'm excited to try the Treatment Masque! My daughters hair is course and she's tender headed! Deep conditioning with this may help soften her hair and also make it more manageable as well as continue to grow and be healthy! oh I can't wait to try the Shea Moisture Jamaican Black Castor Oil Conditioning Masque. It sounds amazing! I can't wait to try the masque. I would love to try the treatment masque! I want to try the Strengthen, Grow and Restore Shampoo. I can't wait to try the Jamaican Black Castor Oil Masque. I can't wait to try the treatment masque! I'm most excited about the treatment masque! My cousin is addicted to this line and I've only heard great things about it. I've fallen off the haircare wagon lately and I'm back to deep conditioning weekly and I really need a good conditioner to tame this wild curly stuff. I love your results and your hair is gorgeous! I'd like to try the leave in conditioner the most. I can't wait to try the leave in conditioner. I would love to try the strenghten, grow and restore leave in conditioner. 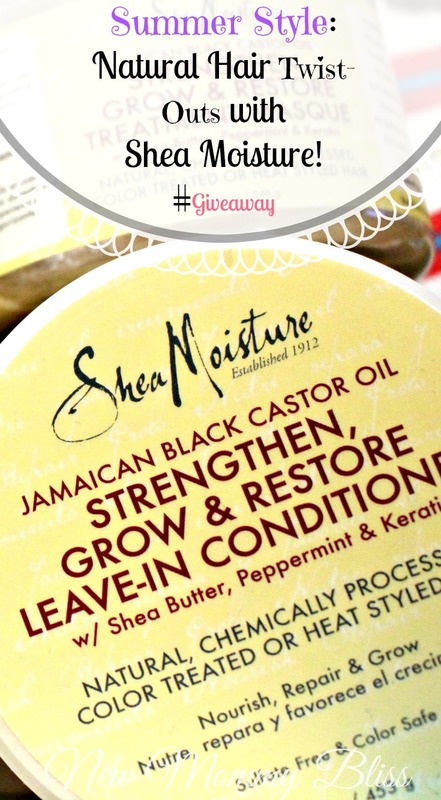 Anxious to try the Shea Moisture Jamaican Black Castor Oil Conditioner!! I want to try the leave in conditioner. Out of the four listed I'd love to try the leave in conditioner. I really like this company and it's products.